TomoChain is a cutting-edge solution to the scalability problems with the Ethereum, in particular, and other current blockchain platforms. It is an EVM (Ethereum Virtual Machine) compatible blockchain which offers benefits like low transaction fees, double validation, fast confirmation times, and highly secured transactional system. TomoChain seems to be an ideal solution for decentralized apps, token issuances and token integrations for small and big companies. 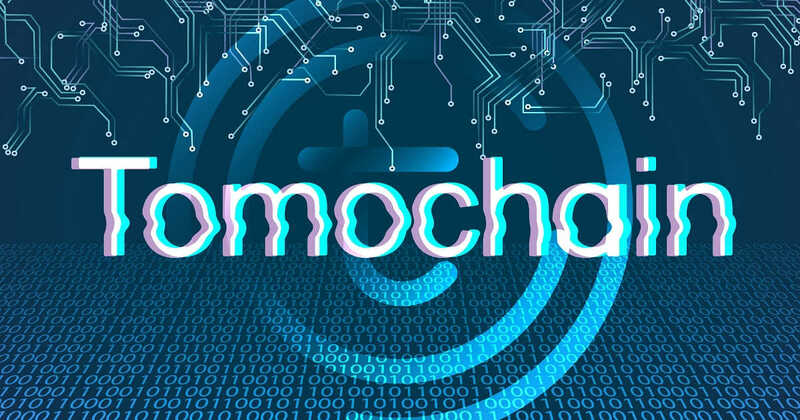 TomoChain relies on a system of 150 Masternodes with Proof of Stake Voting (POSV) consensus that can support nearly zero fees and instant transaction speed. Novel methods such as double validation, staking via smart-contracts and “true” randomization processes guarantee the Security, stability and TomoChain definiteness. Recent scaling methods like EVM parallelization, private-chain generation, and hardware integration are continuously researched and incorporated into TomoChain’s Masternode framework. TomoChain supports all EVM-compatible protocols, smart-contracts, and atomic cross-chain token transfers. TomoCoin (TOMO) is the native token for the TomoChain infrastructure. The EVM-compatible token has been around since March 2018, and in December 2018 the mainnet finally launched with a price of around 15 cents. While other crypto tokens have struggled in the bearish market, TOMO powered up-to 94th earlier this week, and it shows no signs of quitting. TOMO currently hovering at around 53 cents (at time of writing). TOMO has a circulating supply of 59 million tokens and a max supply of 100 million tokens. The most active exchange for TOMO is KuCoin. A masternode is a computer, on a decentralized network such as TomoChain, which is running 24 hours a day. Masternodes are full-nodes that create, verify and validate new blocks in TomoChain’s platform. Masternodes support the network by creating and signing blocks, providing faster transaction processing and decentralized activities. How to become a Masternode Candidate? Masternode Candidate is one who deposits 50K TOMO coin using the official governance d-app. Also, you must be among the top 150 most voted Candidates in each period in order to become Masternode Candidate. Token holders can vote for Masternode Candidate by sending TOMO coins to each candidate specific voting address. In fact, token holders can also un-vote a candidate, but the tokens get locked for the next 48 hours (86,400 blocks) after un-voting. A Masternode candidate can resign, but the tokens get locked for the next 30 days (1,296,000 blocks) after the resignation. The reward a Masternode receives in each epoch is proportional to the number of signatures he/she signs. Masternodes will also receive fees from the TomoChain DEX, which is planned for development in Q1 2019. What will be the incentive to Masternode Candidate & Voters? Masternode Candidates will receive a significant amount of block rewards, which likely exceeds the cost of running the infrastructure. However, as mentioned earlier Masternodes need to invest in TomoChain by depositing at least 50K TOMO, and stake them for the long term. Furthermore, if the account cannot become a Masternode even after depositing 50K TOMO, no rewards will be given to the candidate. Therefore, candidates have an incentive to do as much as they can showcase their capability to support TomoChain to get into the top 150 most voted Candidates. Coin holders who vote for the masternodes will receive ‘token rewards’ in proportion to the amount of TOMO they staked. This incentive is basically given for investing in the necessary amount of coins required for a masternode, configuring, and setting up your masternode, hosting and running it. While the Masternodes produce and validate the blocks, the voters ensure that they are properly doing their job based on – workload (CPU/Memory charts), work performance (Number of signed blocks) and determine activity (the last signed block). In case, the Candidate does not become a Masternode, voters will not receive any rewards. However, token voters should also vote for the candidates which are less voted because the most voted Candidates will comparatively receive less reward per token stake. It is asserted that TomoChain platform would later be coordinated by a non-profit body such as Masternode Council (or Foundation) amongst many other decentralized bodies which receive a fixed amount of income from the network and operate solely in the interest of the network. Masternode operators are battling for dominance on the network. Being voted a masternode is very lucrative and marketing campaigns and staking recruitmens have intensified. Midas has been aggressively supporting the Tomochain Mainnet launch. With its Masternodes King Midas I, II and III Midas users were able to participate in 150 full Masternodes of Tomochain. Recently during the voting wars, King Midas I has lost its position among top Masternodes and by 30th March King Midas I and II will also be resigned. Ethereum (ETH) Contracts can easily transition to TomoChain (EVM-compatible). This could give struggling ETH DApp developers another way of bringing their projects over the finish line. Furthermore, becoming a Masternode is an important signal of long-term support for TomoChain platform. TomoChain is encouraging other entities to become a Masternode, to show their support by helping the network, and gradually decentralize the platform governance. The staking wars is a consequence of Tomochain’s PoSV framework which isn’t a bad thing. Previous articleSTO vs ICO: Which Funding Model Will Prevail?